PENNSYLVANIA -- One portion of the West Mount Airy community is hoping for reconciliation after more than a year of dangerous dog battles. 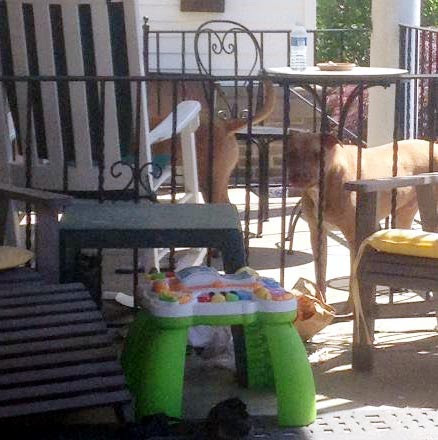 Pit bull owner Ada Brooks now has her dogs returned to her after being found in compliance with court orders. 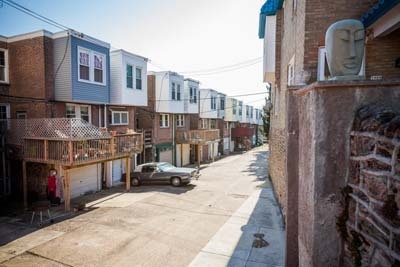 Though some in the neighborhood are still apprehensive [AND CLEARLY DON'T LIKE THE IDEA], they have come to the realization that, at least for now, this is the reality [AND THEIR COMMUNITY LEADERS DON'T CARE ABOUT THEM]. To move forward with the "healing process", a community session will be scheduled before the end of the year, according to the organizers. 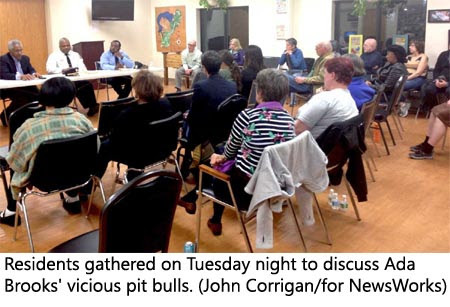 Since many of those in the forefront of the dangerous dog battle serve as block captains, committee persons and election judges, they chose to wait until well after Election Day to do this. Healing process? What moron came up with that phrase? These dogs are going to seriously attack or kill someone - guaranteed - and it will be on the heads of these community leaders who let this UNAPOLOGETIC, SNOTTY woman have these monsters back. Municipal Court Judge Joffee Pittman found Brooks guilty of harboring dangerous dogs last May. Among those who attended the May trail were Dr. Michelle Nashleanas, who was bitten by one of the pit bulls in November of 2013. Barbara Patrizzi and her dog were bitten in March of last year. 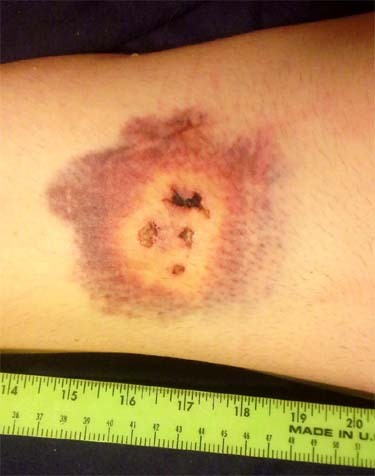 Additionally, Robert Mida was bitten last February. After the first trial, a Dangerous Dog Order was sent to the dog owner. “The order clarifies for you that both of your dogs have been determined, and agreed to pay Mr. Mida and Ms. Patruzzi,” said Barbara R. Paul, the assistant district attorney, in a May 19 correspondence. “Please review the order carefully. If you are found to be in violation of the conditions of the order, you can and will be arrested for a misdemeanor charge and your dogs can be seized and humanely euthanized. “I have been advised that you walked your dogs this morning without muzzles. I encourage you to fully comply with the Court’s Order to avoid further criminal charges,” Paul said. Then the dog owner lost her appeal to the Court of Common Pleases before Judge Michael Erdos in June. 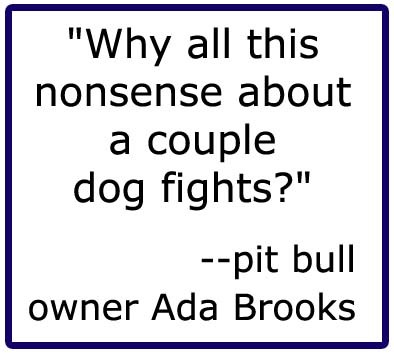 Subsequently, Brooks was found not guilty of having the dogs unmuzzled by Municipal Court Judge Lydia Kirkland Oct. 19. “The Animal Care and Control Center has found West Mount Airy dog owner Ada Brooks in compliance with the conditions set by the agency,” Michael Kleiner, who was among those who had organized the community about their concerns about the dangerous dog attacks, said of the November decision. has them living in fear barks from its owner's porch. Consequently, Brooks was able to go to Animal Care & Control Team of Philadelphia to retrieve her dogs. Neighbors reported seeing her return to her home with the dogs. “We are pleased that ACCT did not release the dogs until it found her in compliance,” said Kleiner, who has been serving at the spokesperson for the neighbors. “We are also happy Ada took these steps which have spared the dog lives. “We thank Police Commissioner Richard Ross for the police department’s role during this process. [We had a] positive relationship we enjoy now with the 14th District. We laud District Attorney Seth Williams’s office for their prosecution of the court cases and guiding us through them,” Kleiner said. 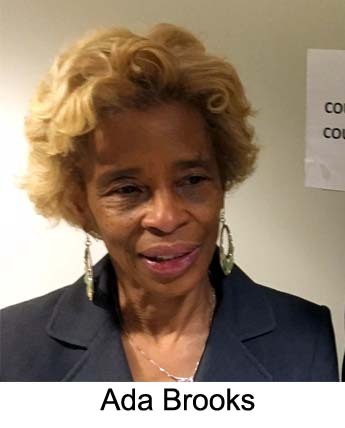 Both Kleiner and Maurice Sampson, another of the community organizers, noted that Brooks is still bound by the conditions of the courts and ACCT in regards to her dogs. Yet the community is hoping the problem is permanently resolved. They do not desire to have neighbors taking a fellow neighbor to court again. Brooks was not available for comment as of press time. 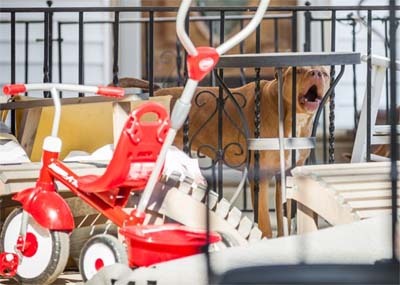 Pennsylvania: Ada Brooks' two pit bulls have attacked three neighbors and four dogs in the last three years. Is anyone going to do anything about it?? ?